My fiancé and I spent March 28 to April 1 preparing for LCD Soundsystem’s final show at Madison Square Garden, which Pitchfork graciously streamed live. To their credit, the feed was unusually good and to my ISP’s credit, a handful of “buffering” moments didn’t deprive us of any music. To watch the video on our TV, we had to buy an HDMI adapter for her MacBook, borrow an HDMI cord to connect it with the TV, and very accidentally found the necessary sound cords in one of my desk drawers. Armed with the appropriate technology and a reasonably well-stocked drink cabinet, we found the effort entirely worthwhile. 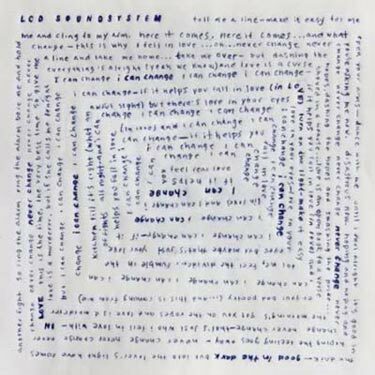 On April 3, LCD Soundsystem’s Wikipedia article was changed from “is a New York-based band” to the past tense, and I’m left trying to integrate a somewhat anomalous experience. I’d never listened to LCD Soundsystem with any great interest until my fiancé took me to see them at Bonnaroo. I enjoyed the music and she enjoyed the music, but no one was dancing. They’d been billed on a day headlined by Bassnectar and a slew of rave bands, who all apparently found James Murphy’s beats less than engaging. A giant crowd milled in front of the band while pockets of painted, glowing exhibitionists circulated between stages. For her, it was a disappointment, but not entirely inconsistent with her experience. Neither of us can report knowing anyone that really likes LCD Soundsystem. During their show at Madison Square Garden, an announcer asked several fans what their favorite songs were; the first person that he asked couldn’t name any. My fiancé’s conditioned expectations were so strong that throughout broadcast that she thanked me constantly for watching it with her, because she was so accustomed to listening to their albums by herself. Since then, I’ve asked several people — mostly musicians — what they thought of the band. Although most of them had no strong opinions, all of them said that they’d never cultivated an interest because of Murphy’s occasionally almost conversational vocal delivery. It’s not too hard to imagine that this tone might suggest a lack of passion to certain ears, particularly in lieu of the architecture of some electronic and dance music. That is to say — if people hear what they feel are emotionless, disinterested vocals punctuating something that sounds as repetitive as dance music can seem, they’re not likely to hazard any of their own emotional investment to fill the perceived void. When my fiancé and I were first dating, I think my reaction was probably the same. 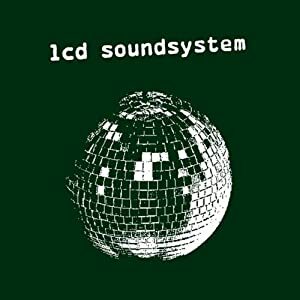 I’d come to dance and electronica with a more pop sensibility, so lengthy LCD Soundsystem tracks didn’t sound like what my limited experience with dancing in a public context had inclined me to enjoy. As time went on and the length of my exposure to Murphy’s music increased, the meditative quality of repetition and highly graduated song architecture eventually yielded to my apprehension. Internally, the past year had been moving me towards some kind of aesthetic alignment. I began college in love with indie pop and ambient, but I’m ending it immersed in the diverse spectrum of genre monikers preceded by the adjective “dance.” Simple dance pop is easy to come by on damn near any stratum of popular culture — whether you’re sifting underground blogs or randomly changing radio stations — but it took the accumulated year of exposure to LCD Soundsystem for me to appreciate the adjective without the moniker: dance. James Murphy and a small group of collaborators — including Tim Goldsworthy of Mo’ Wax and promoter Jonathan Galkin — currently operate DFA Records, along with its international imprint, Death From Abroad1. Their catalogs are predominantly 12″ singles, many with whopping A-sides, a remix, and maybe an alternate edit or a dub mix for good measure — reflecting their intended destination in the repertoires of DJs, rather than radio stations. As James Curd asserts on his DFA 12″, We Just Won’t Stop, they “do their thing based on a groove, designed to make your body move.” Eliciting movement and the centrality of the groove is dance, a genre uniquely conditioned by its context. It’s been at the heart of Murphy’s career well before LCD Soundsystem, even predating his famous DJ sets with DFA co-founder Goldsworthy. The emotional palette that dance draws from is also, to a great extent, designed by those circumstances. 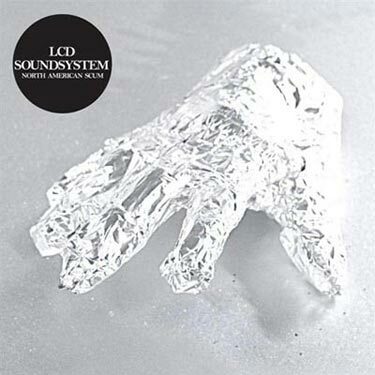 The moodier “dance-punk” revival that’s often associated with LCD Soundsystem (drawing its aesthetic foundation from Murphy and Goldsworthy’s early DJ sets) and the artists advanced via DFA and Death From Abroad are ironically much more egalitarian. The very names of the band’s singles agree with the notion that their music was never culturally or emotionally mute; “Losing My Edge” is probably the most obvious, but songs like “North American Scum” (originally on the Confuse the Marketplace 12″) have pretty explicit social agendas. 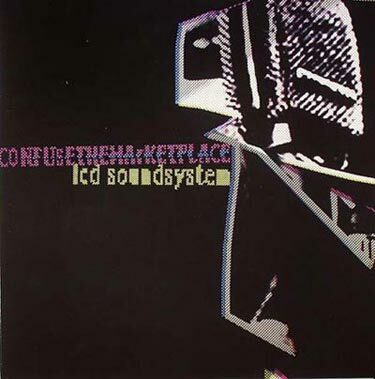 By the end of “I Can Change,” I’d begun trying to find the DFA 12″ that I knew must exist somewhere, in or out of print, and made the first of at least six purchases that evening (the first of three from Amazon.com, who stock most of LCD’s vinyls). It is one of the band’s most recent, taken from their last studio album, This Is Happening, and one of the most bluntly emotional songs Murphy has even written. For a musician who’s been highly critical of what he calls “I Feel You Feel music,” with a shallow appeal to bland emotion, it was a personal and stylistic landmark; Murphy actually had the band leave their studio while he recorded the vocals and only signed off on the song at their prompting. For Murphy, beginning their show with these songs made a great deal of sense, and he’s clearly hadn’t shied away from using certain tracks as framing devices for each set. Though “Dance Yourself Clean” falls closer to the culmination of his career than the beginning, sitting as it does at the head of This Is Happening, beginning their final show with the song was a gentle reminder (rife with puns and wordplay) to devotees that they were a party… together — “Present company accepted.” As the set built, “Daft Punk is Playing at my House” gave a glimpse into Murphy’s past and made light of the culture-competition that he harps on in other songs, finally ending with “Tired,” and the announcement that such a long show would require breaks between sets. The band’s second set was, for me, the most recognizable. 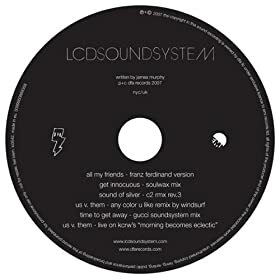 While my fiancé and I were dating, I heard occasional LCD singles playing every couple of days, but the first album that we really listened to together with any thoroughness was 45:33, Murphy’s famous jogging mix commissioned by Nike. Although the original release billed the album as available exclusively from Nike and included some vague copy about listening to the tracks while jogging, we primarily made use of it as an accompaniment to Mario Kart for Wii, and even Murphy eventually admitted that he never jogs. Whether or not it was really structured around “an arc designed for running,” a lot of early reviews made light of the corporate sell out and saw the album as having a topography amenable to soundtracking a good work out. Interspersed with tracks from the band’s follow-up album a year later, Sound of Silver, their second set highlighted the early midpoint of the band’s career. Though it had been more than five years since they unveiled their first single and their breakup was less than four away, Sound of Silver was their first album to chart on the Billboard 200. 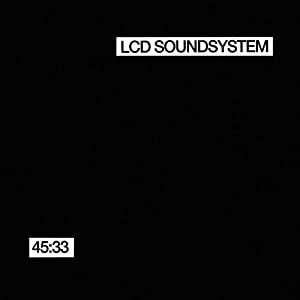 About a month before the album was released, Murphy revealed in an interview with The Guardian that 45:33 had nothing to do with exercise, and everything to do with an attempt to create a sort of conceptual purity. According to Murphy, he construed the whole exercise as nostalgia for the transitional electronica of Manuel Göttsching’s E2-E4. The end product is a disco-infused homage to Göttsching’s comparatively narrowly-structured, confining thematic epic. 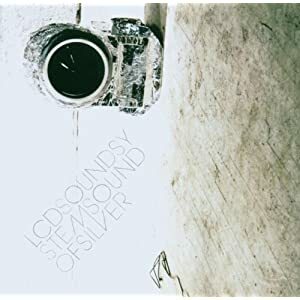 Nonetheless, the set ultimately highlights the band’s credibility, and Murphy’s creative refraction at a time when Sound of Silver was nearing completion. Built from the ground up as a DJ mix tuned to heart rate and body temperature, what 45:33 really emphasizes is Murphy’s role as architect — duping Nike into footing the bill for a personal creative outing that, despite their conditions, exhibits the kernel’s of the band’s coming career and his singular mastery of vision. We’d already owned 45:33 for a little while, since buying it as a Valentine’s present, so the band’s third set became the primary nexus of my spontaneous, obsessive vinyl purchasing. All but two of these tracks have had their own independent lives on 12″ singles. “North American Scum” was popular enough to go through a couple of different pressings, ending up with a remix, dub mix, and a pair of non-album B-sides to balance them out (I opted for a smaller first pressing that I managed to find buried in the web catalog of a Texas record store). The other four come, not too surprisingly, from the band’s self-titled debut, which had more than twice as many as independently-released singles as the subsequent two. Seen together, these are songs about displacement and confrontation (Pitchfork’s Joe Colly recently called it “cultural combativeness” — if titles like “Us v Them” and “Tribulations” weren’t explicit enough). “Bye Bye Bayou” and “North American Scum” both seem to emphasize that Murphy had become unsettled. If the chronology of their last show bears any relationship to their trajectory as a band, the third seems to represent their radical change in lifestyle as success accumulated, away from home and not always understood. Though the songs are older than others, they still express a great deal about the band’s break-up. It had become too much, too exhaustive, and too time consuming. If you’re willing to accept that even early in their career Murphy could have predicted the features that would make celebrity overbearing, then the set became fairly poignant at this point. Even the bombastic synths of “Movement” and repetitious, flamboyant affirmations of “Yeah” did nothing to cloud the emotion of Murphy’s singing about his own restlessness. 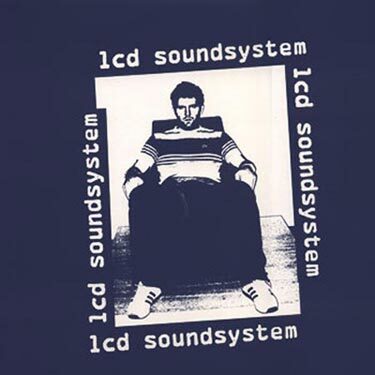 By now, I’ve bought four 12″ singles from LCD Soundsystem, and two from bands on DFA or Death From Abroad. I’m also beginning to wonder how I’d ever been under the impression that the band I’d been watching for more than three hours was a hipster conceit band. In their last formal set, I’m sufficiently convinced that someone great actually was passing, that the lament in “Someone Great” became autobiographical; Murphy refused to say, but agreed that “songs are songs” and that this one could function however anyone likes it to. When “Losing My Edge” followed, though the sentiment didn’t necessarily follow, a flicker of Murphy’s sense of humor began to shine through. For a show that began with the emotional tension of “Dance Yourself Clean,” Murphy’s singular exploration of place in “Home” easily seemed like the appropriate ending, particularly when the song began its lengthy wind down and Murphy whispered, “It won’t get any better…” These three songs are a blueprint for what causes tension in the James Murphy we all know: the ambiguous ode to loss and celebrity, a lamentation of insincere cultural resurgences, and the mixed blessings of the adopted New York home that brought him fame. In many ways, the band’s three-song encore was a continuation of the ideas they’d just left off with, though the sentiments have smaller social dimensions and the circumstances are more humble. Murphy is no longer a musician coming to terms with his celebrity, but a being coming to terms with his humanity. On “All I Want,” unadorned vocals and the band’s buoyant live instrumentation made for one of the show’s most emotional songs. A raucous cover of Harry Nilsson’s “Jump Into The Fire” might’ve be one of the more tonally anomalous tunes of the evening, but lyrically, was a final validation of the band’s corpus and the end of its centrality to the personal lives of its members. For us, the show ended very quietly. 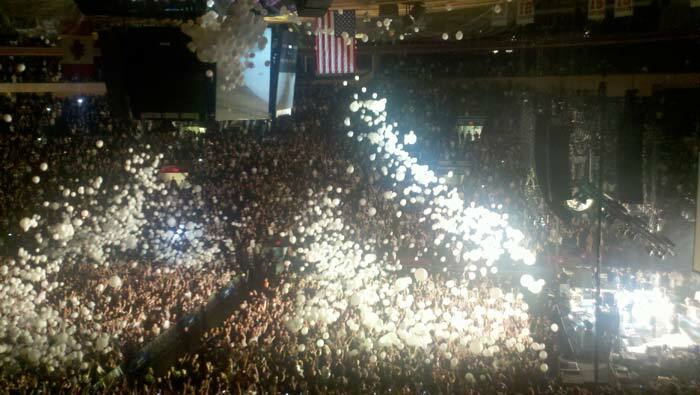 The band finished playing amidst a massive wave of white balloons, which quickly began disappearing — as lighters, still handy from the encore, were taken out. When only a few dozen were left, the lights came on and the crowd was already fairly thinned. I don’t remember if Pitchfork’s live broadcast cut out first or if we closed the browser, but by then, I’d used my own laptop to buy at least six 12″ singles. I’ll find out this week if I’ve forgotten any as they all start arriving. A few days later, I actually committed to an album (as a fan of singles, that’s the sort of backwards logic I have to work through). Artifacts of the occasion aside, the show remains an interesting axis of change. 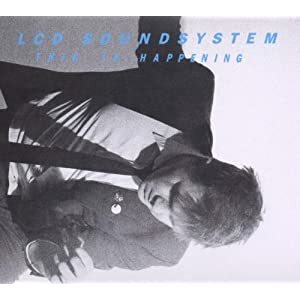 It finally brought me into the LCD Soundsystem camp, changed absolutely nothing about my fiance’s high opinion of the band, and brought an end to the band itself. In a couple of days, we’ll both have a heavy stack of new introductions to their music, as I come to a first appreciation and hers expands, thanks to a slew of B-sides and remixes. 1 A variation on Death From Above, the original name planned for DFA, but scrapped after September 11th. A DVD release for this Madison Square Garden show is in the works. For now, these YouTube bootlegs will have to do. Dwight Pavlovic was an occasional REDEFINE contributor.